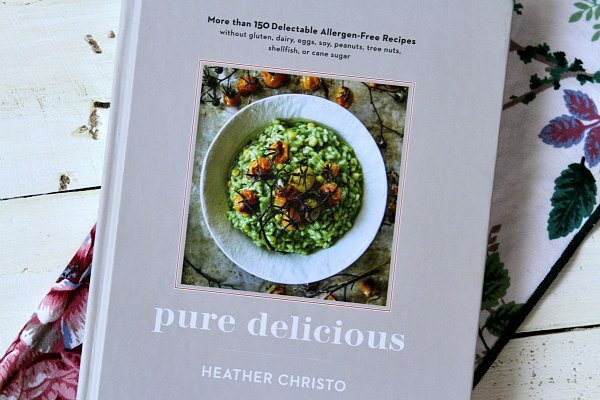 The recipe comes from a new cookbook by my friend Heather Christo: Pure Delicious- More than 150 Delectable Allergen-Free Recipes. 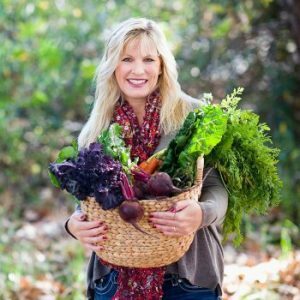 A few years ago, Christo discovered that her kids were allergic to a long list of foods… and Heather found out that she was allergic to many of the same things. 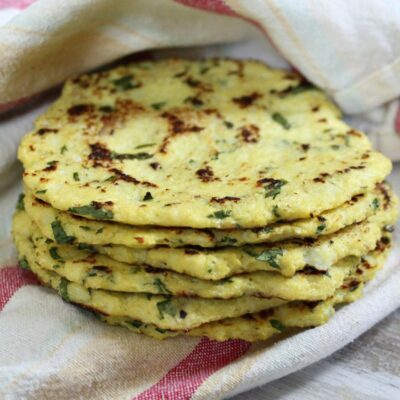 To keep her family healthy, she had to completely change the way she fed them. 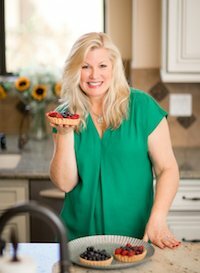 The recipes in her new book do not include gluten, dairy, eggs, soy, peanuts, tree nuts, shellfish or cane sugar. If you have allergies to these ingredients, this will be a book you’ll want to purchase and keep on hand. 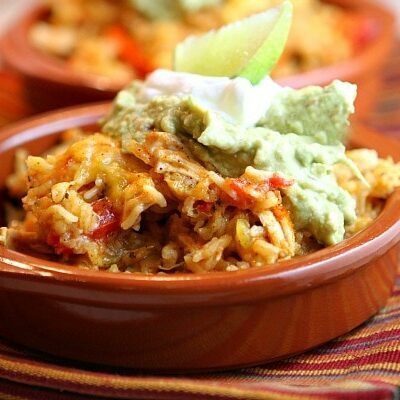 Here are a few recipes that caught my eye: Greek Lemon Chicken and Rice Soup, Asian Vegetable Noodle Soup, Hot Spinach- Strawberry and Bacon Salad, Fresh Corn and Mango Salad, Lemon- Artichoke Hummus, Sweet and Spicy Apricot Chicken Wings, Mexican Rice, Pumpkin Polenta, Sandwich Bread, Turkey Burgers with Cranberry Mustard, Penne with Creamy Tomato- Vodka Sauce, Chicken Teriyaki, Grilled Skirt Steak with Chimichurri, Beer Battered Fish and Chips, Chewy Chocolate Chip Cookies, Chocolate Cupcakes with Fluffy Milk Chocolate Frosting and Chocolate- Zucchini Bundt Cake. Christo also proposes an 8-week food elimination diet to determine the cause of food allergies, and she guides you through how to do that in her book. 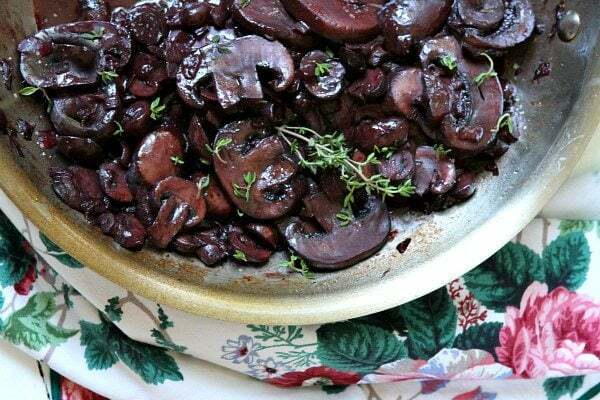 This recipe for Red Wine Mushrooms is so simple because the mushrooms simmer in the red wine for a good chunk of time. 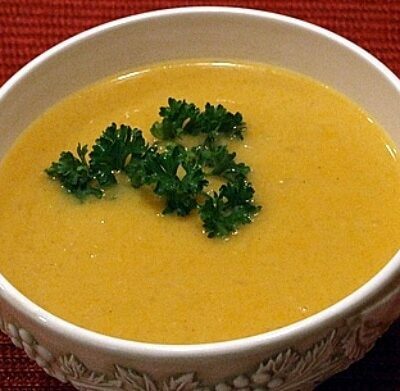 You just need to tend to them now and then and give them a stir until there is very little liquid left. 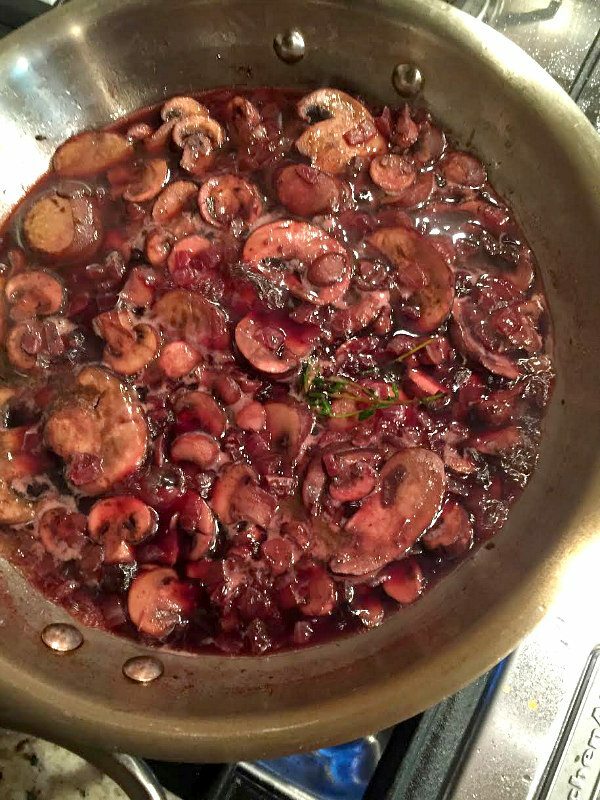 The result is a beautiful batch of red wine-soaked mushrooms… that will be perfect for topping steak (at least that’s what we used them for!) 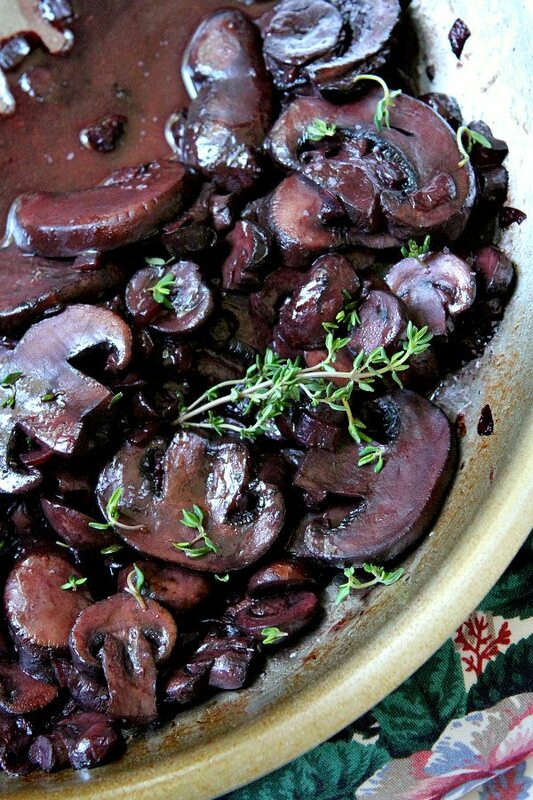 Think buttery, tender mushrooms infused with wine with a hint of thyme. So good! In a large heavy pan, heat the olive oil over medium heat. Add the onion and sauté until tender, 5 to 7 minutes. 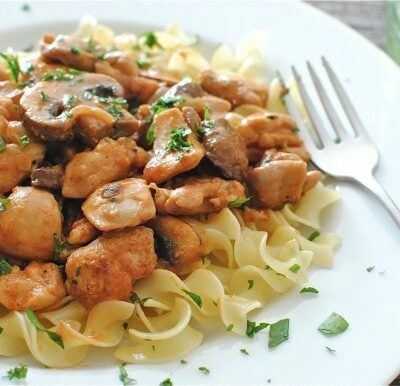 Add the mushrooms and stir well. 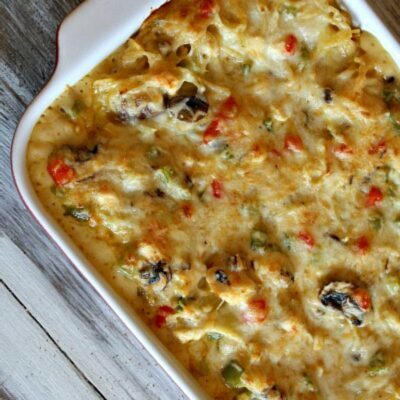 Cook until the mushrooms are soft and tender, another 5 to 7 minutes. Add the wine and deglaze the pan, scraping up any browned bits off the bottom of the pan. Add 1 thyme sprig and reduce the heat to low. Simmer, stirring often, until most of the liquid has cooked off, about 30 minutes. Stir in the butter and cook for 2 minutes more. Season with salt., then transfer to a serving dish. Garnish with the leaves from the remaining sprig of thyme. 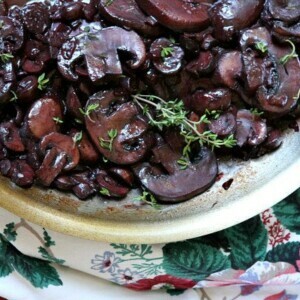 I love Heather’s book and these mushrooms are on my list of recipes to try. 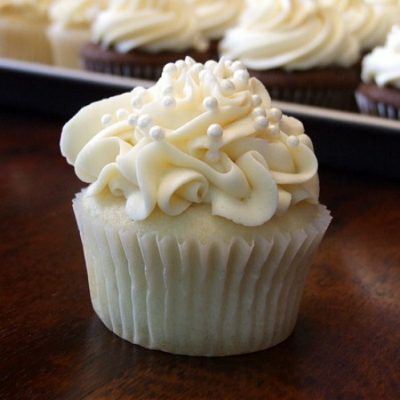 They look perfect, Lori! !